Traded to the Edmonton Oilers from the Montreal Canadiens on February 28, David Desharnais wanted to come up big when he took to the ice for his first game with the Western Conference club on March 4. 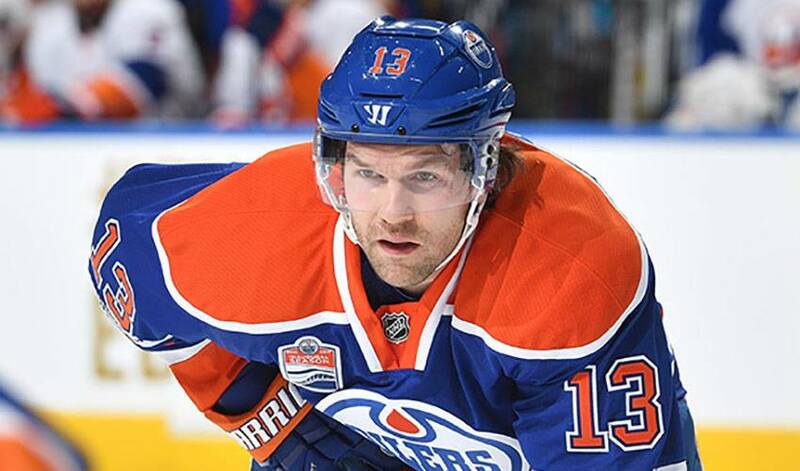 David Desharnais was hoping make a good first impression on his new team. And that’s exactly what he did. Traded to the Edmonton Oilers from the Montreal Canadiens on February 28, the diminutive forward wanted to come up big when he took to the ice for his first game with the Western Conference club on March 4. The centre skated on a line with Zack Kassian and Drake Caggiula, a trio that looked as though they had played together for far longer than just a single game. With 22 seconds left in the opening period of the Oilers home game against the Detroit Red Wings, Edmonton took a 2-1 lead - an advantage they wouldn’t relinquish. Desharnais, wearing No. 13, assisted on the goal, in an eventual 4-3 win. For his part, the 30-year-old logged 14:28 of ice time, recorded two shots on goal, and earned rave reviews for his contributions at both ends of the rink. It was a whirlwind of emotions leading up to the game for Desharnais, who played 435 career games for the Canadiens. In the hours leading up to his first game with the Oilers, Desharnais reminded himself of the one piece of advice he’s carried with him since his playing days in the Quebec Major Junior Hockey League. Just before the opening puck drop, he recalled it again. “I haven’t forgotten when I was told to always enjoy every second of it because it can end in a second,” said Desharnais. He might experience some more enjoyable moments before the end of the 2016-17 NHL campaign. Led by captain Connor McDavid, the Oilers are pushing to net a playoff berth for the first time since 2006. David Desharnais has worked his way through the Canadiens system to become a mainstay of their now dynamic offensive attack. This past week Desharnais was once again putting up points and proving his value to the Habs' success.